For the player who is just starting to play tennis. This player has limited playing experience and is still working primarily on getting the ball into play. 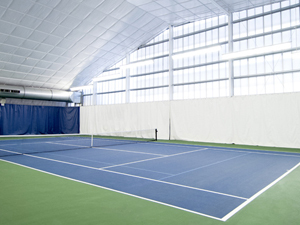 SPORTIME Lake Isle is a brand new tennis facility on the grounds of the Lake Isle Country Club and features eight indoor har-tru (green synthetic clay) tennis courts under three state-of-the-art air structures and a 5,000 square foot clubhouse on two levels with superior viewing. Bring your own racket (loaner rackets available upon request). Tennis balls provided.